The news is still trickling out about the bombing today in Beirut, but all media outlets are now confirming that the target was Brigadier-General Wissam al-Hassan, the head of the Information Branch of the Internal Security Forces. 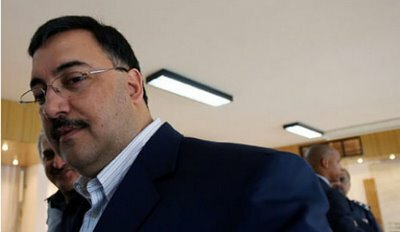 I’ve written a great deal about Wissam al-Hassan over the past few years and will have more to say about him this evening, but for the time being, here’s a quick backgrounder, followed by several links to my blog posts about the most important events in which al-Hassan played a major role. Wissam al-Hassan was one of the most important security figures in Lebanon. He headed up the Information Branch of the Lebanese Internal Security Forces (fir` al-ma`lumat), and was recently responsible for arresting Michel Samaha, a former minister with close ties to Syria, for allegedly conspiring to have explosives blown up all around Lebanon in a bid to create havoc. The move was seen as very destabilizing in Lebanon because Wissam al-Hassan is very close to the March 14th coalition while Samaha had long been regarded as “untouchable” because of his connections to Damascus. And yet, none of Samaha’s Lebanese allies demanded his release. Many people were shocked at the ISF’s boldness and concluded that the evidence against Samaha (which allegedly included video and audio footage) was so compelling that he became politically radioactive to his allies. Wissam al-Hassan has long been the target of March 8th ire. His branch of the police has been described as an independent fiefdom that is not under any real civilian control. Al-Hassan was a key security chief for former Prime Minister Rafiq al-Hariri, and was accused by some of having played a suspicious role in the build-up to the assassination in 2005. From March 14th’s perspective, the loss of al-Hassan is a major blow. I’m hearing now that Wissam al-Hassan lived in a building near the site of the explosion and that the route he took was probably a regular one between his house and the ISF headquarters (near the Lebanese Museum). Unfortunately, while there are security cameras all over the place on the actual street where he lives, it seems much less likely that there will be CCTV footage of the blast site. Long arm of the “law” (Bashar…Contracted out to who else? HA) strikes again!! My memory is rusty. Isn’t he the chap the CBC report said was the insider in the Hariri camp who help in the assassination? Gaby, he was also in charge of the unit that busted all those Israeli spy rings. If he was called a Hariri goon by some and a Hizbullah double-agent by others, is the likely reality that he was just a good detective? Congress folk who surmised that US taxpayers funded the equipment that made the busts possible. One should ask Walid Beik Jounblat…As usual, he is probably aware of what’s going on behind the scenes, but as usual, he may be very sibylline ! Wissam Al Hassan may well have been a double agent, as it’s mostly the Hezbollah’s intelligence who uncovered the Israelis spy ring. Al Hassan must have felt obliged to arrest the spies ( small fish) to keep his cover. Maybe Wissam Al Hassan was the big fish of the CIA-MOSSAD ring. Either he was liquidated by the Mossad because he had turned against them by arresting Israeli spies instead of crushing Hezbollah or he was killed because the Hezbollah was ready to expose him as a spy and indict him for the framing of Michel Samaha. The Mossad and CIA decided he was too compromised and eliminated him. But weren’t the Israeli spy rings part of the same story. Telecom, data manipulations. Maybe he was just Mr Dithers. Blaming anyone and everyone- Syria one day, Israel the other. Making sure he has all his bases covered. I, for one, am glad that HA is getting rid of the cancerous Zionists living under cover in Lebanon. Hezbollah needs to keep Lebanon safe without the use of silly lawsuits and legal due process. There are too many covert Zionists living in Lebanon to afford such nonsense. No, it seems to me those in power in Lebanon need to keep Lebanon safe for Lebanese. Just like Assad is keep Syria safe for Syrians. Let’s pause for a moment in honor of all those who sacrificed their lives for our freedom!